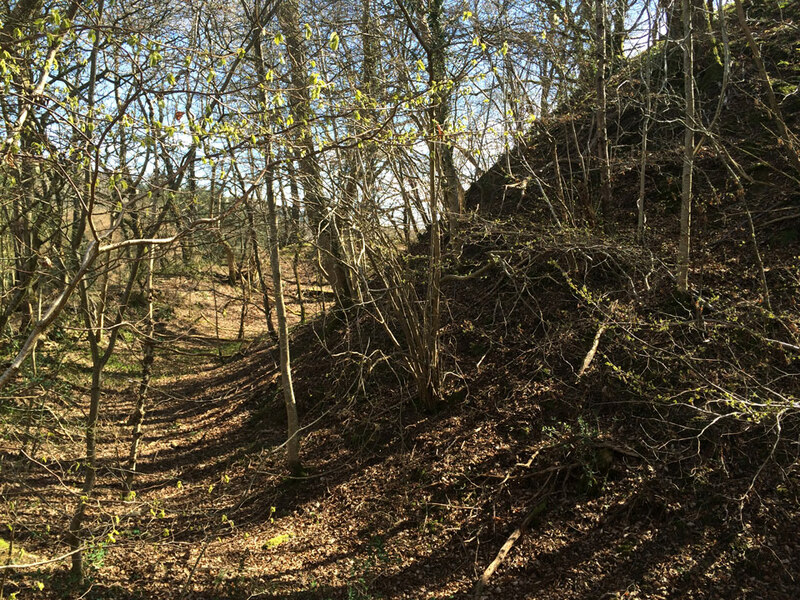 A motte 30 feet high with a diameter of 35 feet at the top. 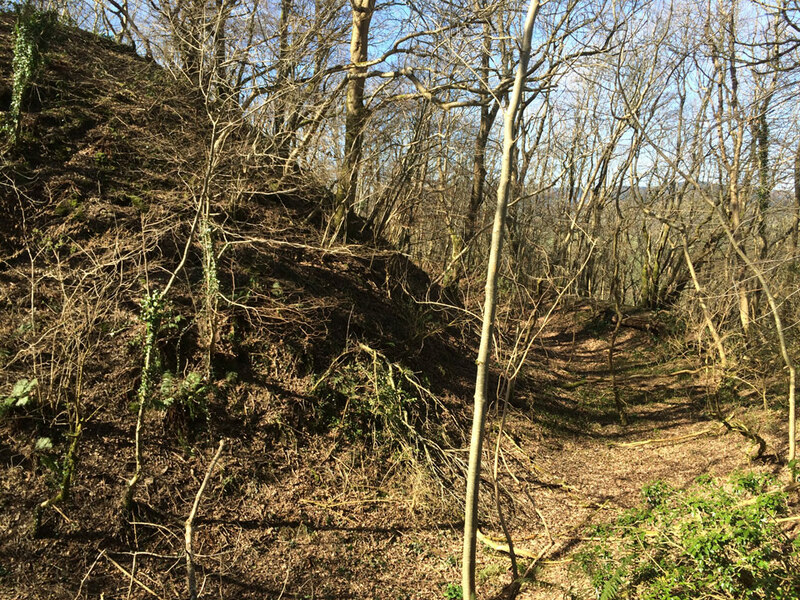 The ditch around the motte is 10 feet deep and has a counter scarp bank but no bailey is visible. It survived into the 13th century but was never rebuilt in stone. It is now covered in dense undergrowth.